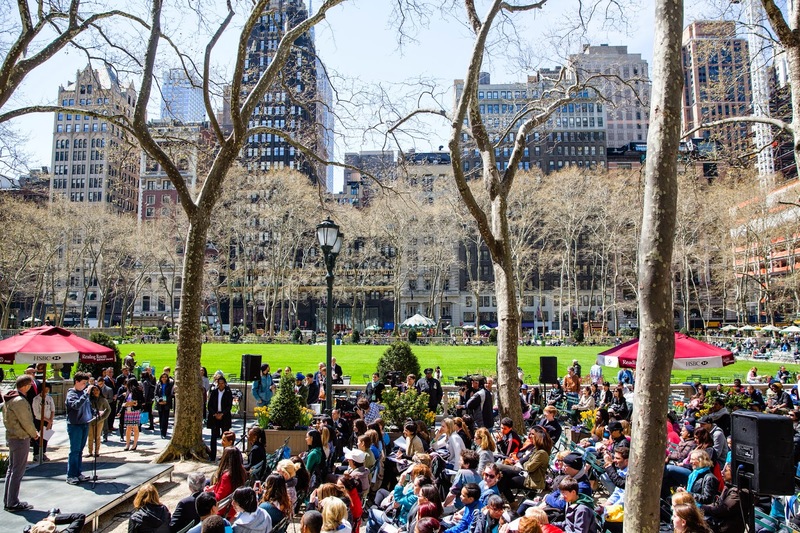 April 1 is the traditional opening date for Bryant Park daily activity areas, like Ping Pong, Games, and Art Cart. We mentioned previously that the Reading Room also opens on April 1. Here is what you can expect this summer at our outdoor library! The stars have never shined brighter at the Reading Room. Word For Word Author hosts megawatt stars Candace Bushnell, Bethenny Frankel, John Waters, and more throughout the course of the season, as they discuss their new books. Favorite programs, like Word for Word Poetry, Word for Word Kids, Writers Workshop, and Word for Word Nonfiction return this year. Ever-popular Reel Talks, led by noted film critic Scott Adlerberg, has added two additional dates of talks. Everyone loves a sequel! Poem in Your Pocket Day returns to the park on Thursday, April 30. The Reading Room hosts two new programs. The Book Bash, scheduled for July 1, celebrates the opening of the Leave a Livre book cart. Donate your favorite old books, and pick up a few new ones. The Spelling Bee, scheduled for August 7 and August 14, will have the park buzzing. The Reading Room takes your favorite elementary school event and makes it fun for adults; must be 21 or over to participate. Needless to say, the Reading Room schedule is one you won't want to put down this summer!